The Good Hope Centre, an indoor arena in Cape Town, was built in 1976 to serve the city as an exhibition hall and conference centre. Its iconic domed roof designed by Pier Luigi Nervi, was the largest of its kind in the world at the time. It was built in an ideal location in the city centre, adjacent to the city’s primary transport interchange as well as important public spaces and venues such as the City Hall, the Grand Parade and the Central Library. However, since construction in 1976, much of the City’s business district has moved away from the eastern part of the city centre, which became known more for the light manufacturing industry. 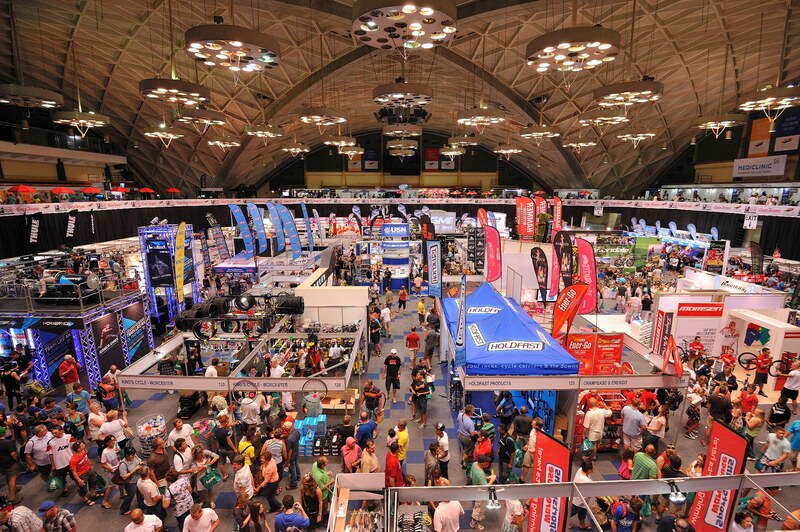 Over several decades the venue has been well used by various local organisations, community groups and event companies to host exhibits, conferences, meetings, community gatherings, and sports and cultural events. Prior to the construction of the now acclaimed Cape Town International Convention Centre, the venue was the premier indoor events arena in the city, hosting international sports events. The Good Hope Centre has become a challenging building to manage and maintain over the last decade. While a sentimental attachment exists with the public, the high maintenance costs and repair costs, conservatively estimated to be R16 million, justify cause for rethinking the use of this building. In the face of the rising maintenance and repair costs and strict municipal budgets, the local government has been forced to conduct this re-think. In July 2015 the City of Cape Town took the decision to lighten this burden by temporarily leasing out the R145 million valued building to a film company for studio purposes – an idea proposed as early as 1998. The lease arrangement has since been hailed a financial success by the City of Cape Town as Councillor Gareth Bloor, Mayoral Committee Member for Tourism, Events and Economic Development who explains “the expected annual revenue will definitely exceed the annual planned revenue of approximately R1.8 million”. 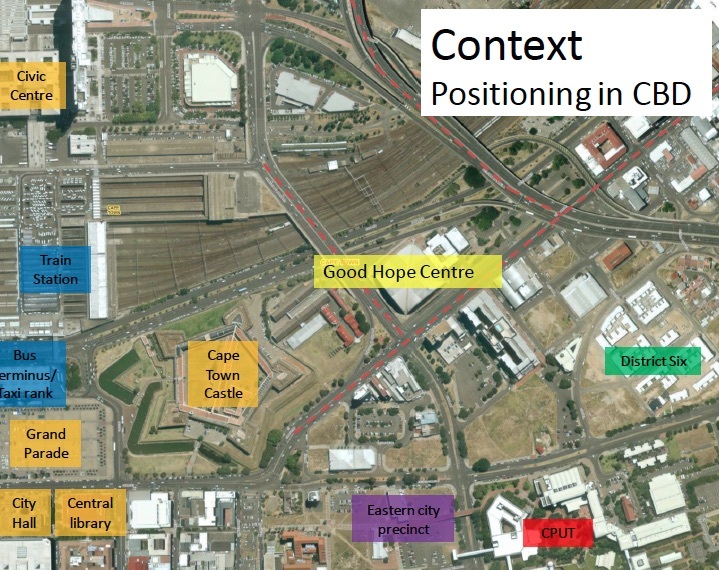 The transition for the Good Hope Centre has not been without criticism. The announcement to lease out the Centre as a film studio has outraged some trade unions and organisations due to the “apparent disregard” shown by the City to disadvantaged communities who had been using the venue for decades. The “Raak Wys” campaign started as a result of back-lash to the leasing out of the Centre. The campaign is backed by the Southern African Clothing and Textile Workers Union (SACTWU), the Cape Malay Choir Board, the District Six Working Committee, the Bo-Kaap Civic Association and the Atlantic Concerned Commuters Forum. The campaign recognises that the financial cost cannot be ignored, but it “is by no means the only one”.These organisations pleaded with the City to take into account the social and cultural benefits provided to the community by the Good Hope Centre. More recently a public participation process about the proposed 3 year lease of the venue was concluded during December 2015 when the City formally advertised its intent to lease the venue to a film company for the longer time period. In-principle approval was sought during January 2016 and it was approved. 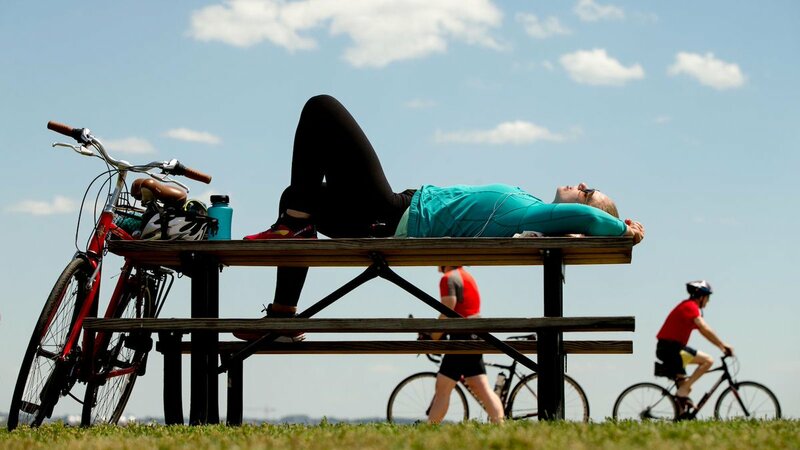 The question being raised about the use of public assets, that is, whether they are they built for financial gains or social capital and community gains is a valid one. The Cape Town Stadium, for example, is known to have sustained financial losses, running at an annual loss of about R40 million, however, this public asset will not, at least in the medium term, be taken away from civil society to cover its losses with a sole tenant. While the Cape Town Stadium is a significantly newer venue, and of a much larger scale, these is a sense the Cape Town Stadium belongs to the people of Cape Town and should the Good Hope Centre not be thought of to have that same sense of common ownership? In both these instances, the City of Cape Town is faced with the task of creating public value in a non-economic sense. At what point should public value be placed above generating values? There is perhaps a need for a method of calculating public value which takes into account both financial and social considerations of the asset. The framework could provide a level of public value and more specifically an upper limit on the level of losses a government could reasonably absorb over certain time periods. A recent publication by economist Marc Cowling has researched the concept of public value and noted that in “most cases maximising the social benefit derived from public service provision is clouded by this mix of public and private actors who have quite different objectives in the supply chain”. Therefore the key challenge that is posed to public policymakers is how to incentivise private agents to act in such a way that is consistent with achieving the maximum social benefit to the citizenry. An important issue that is often overlooked by public policymakers, and in this case the City of Cape Town, is that consumption (the payment and use of goods and services) tells one nothing about quality of experience and this seems to be the pressure point between the City of Cape Town and the Raak Wys! group. One could argue that the City is simply determining the value of the Good Hope Centre around its consumption, which simply put, cannot measure the quality it adds to the lives of those who make use of this public asset. This modelling or framework would require a thorough review as confidence related to the City’s ability to estimate revenues has been reduced to much due to the soccer debacle of Cape Town stadium which saw a R28 million loss on an event that modelled ticket sales based on one of the world’s largest football clubs and brands, rather than the lowly ranked teams which were actually involved. Bloor explained that “long-term plans for the centre and the land will take three to five years to develop, which raises the question that if maintenance is the main issue, will cost of repairs not be exponentially higher by 2019? In the short-term, Cape Town’s film sector has seen a boom in film and related activities. The City’s considered view is that the centre will have a far greater economic and job creation impact as a temporary film studio”. He adds “The leasing of the Good Hope Centre is a short-term measure to generate much needed income from the facility”. Once this leasing period is over, then what? Is government the right role player to manage public infrastructure such as the Good Hope Centre? Bloor commented, “whether government should be in charge of public infrastructure is a question for debate but does not detract from the fact that the Good Hope Centre is a strategic asset for the City. As with all strategic assets, the City has to consider options to reduce the cost burden, which is ultimately borne by ratepayers”. One could also consider a relation to how other facilities, such as the Cape Town International Convention Centre (CTICC), have a perceived lack of of public access for civil organisations such as those comprising “Raak Wys”. Should the City be looking at the Good Hope Centre in isolation, or rather those facilities that have caused to the Good Hope Centre to become isolated in its functions? It is apparent that the building does have high maintenance costs and requires a refurbishment if it is to remain in use. However, the future management structure of the building – and in fact the surrounding land – and how it contributes to the development and growth of Cape Town needs to be considered too. Perhaps exhibition and space facilities similar to the Good Hope Centre should be grouped together and serve a single function – work as partners instead of competitors. If physical maintenance of the building is the main issue under question, then perhaps there is a lack of imagination shown by the City and its stakeholders. The end of the Good Hope Centre? The lifetime of buildings are often set at 50 or 60 years old, and with the Good Hope Centre now at age 40, the maximum public value derived may in fact be the generation of revenues that feeds into the planning of a future venue or the redevelopment of this prime parcel of land (which will likely include a major rezoning process from Open Space to a more commercially focussed revenue). This could form part of the broader movements to rethink key parcels of land in the city led by groups like Ndifuna Ukwazi – if the arena is to be demolished. The future of the site could be very exciting but the local government must consider a more transparent and open framework for decision making on the future of public venues, infrastructure and assets – that includes a broader part of the public , and acknowledgement that non-financial value also counts. The main factor which is lacking in the City of Cape Town’s plan for the Good Hope Centre is the plan itself. A short-term solution for an asset worth R145 million cannot be sufficient for the people of Cape Town who, if it is a public asset, should have access, and if not, it should be generating a steady income. The limbo-state of leasing out the iconic building is simply extending the decision process and potentially further raising inevitable maintenance costs of the structure. At the end of 2013, a design workshop was held by the City of Cape Town in celebration of the World Design Capital, where opportunities for the Good Hope Centre were identified which are still very much relevant more than two years down the line. The opportunities identified ranged from redesigning the access and infrastructure that connects to the building to equipping the Good Hope Centre to cater to strategically identified events and therefore design the appropriate infrastructure upgrade. Ironically, the prospect of the Good Hope Centre becoming a community champion was identified as an opportunity where it becomes the icon of community inclusion and cohesion. A thought provoking article. Well done.